Last year, I radically rebuilt my life around 6 principles: health, family, freedom, fun, community, and creativity. My goal for 2018 is to go even bigger: grow my platform, raise my profile, and impact the lives of even more people in a deep, lasting way. The key challenges will be pushing myself to think more expansively and challenging my introverted inclination to stay in my head. I’m flexing parts of my brain and personality I didn’t know were there. Just like any new exercise regimen, I know it's good for me yet everything hurts. Here’s a look at my big, bad plans for 2018 and related tips to help you think exponentially about your own career. Update June 2, 2018: My biggest learning thus far is that being out of my comfort zone feels pretty darn good. Paradoxically, my "risky" move to entrepreneurship feels so much better than my "safe" corporate job ever did. In corporate, I was anxious, miserable, and numbed by meaningless monotony...compounded by the creeping awareness that I wasn't living up to my potential. Back then, being out of my comfort zone was mostly about doing things I didn't want to do. Now, it's about trying things that I want to do but am not sure that I can. It's being pulled to exciting possibilities rather than pushed to unimportant drudgery. I work just as hard, but it's a totally different kind of energy. I'm building something of my own design based on my strengths, interests, and purpose. It's an expansive discomfort fueled by "Why not?" I'm uncomfortable every time I publish a blog post, appear on a podcast, or do anything in front of other people, but those challenges energize rather than deplete me because they're connected to something bigger. People think they have to be fearless to have the career and life they want. That's just not true. Without fear, we wouldn't feel the absolute joy in walking through it. I still screw up most days, just like I did in corporate. But in corporate, I'd dwell on mistakes for days or weeks. Now, there's just not the same sting. It's just the nature of things to experiment, iterate, and evolve. There's freedom in knowing your potential is only limited by what you choose NOT to try. I'm not saying I don't have fears and doubts. I'm not saying I don't have bad days. I'm saying they don't matter as much when you're connected to purpose and meaning. 1. Earn 2x what I earned in 2017. Establish multiple income streams, at least one passive. Why: Four drivers are motivating my money goals this year: health insurance, retirement savings, travel, and helping my mom achieve a life-long dream. I'll have to think big and really hustle to meet this goal, which is thrilling-slash-daunting. One of the biggest motivations behind my leaving Corporate to run my own show is stepping up as a leader and pushing myself beyond what I’d previously thought possible. Are your goals truly a stretch, or are you settling for 5% better? I’ve seen so many high-achievers hold themselves back by not reaching high enough in the first place. If they aren’t assured of winning, they don’t play. Try the 80/20 rule. If you have at least a 20% chance of failure, that’s a start. Update June 2, 2018: I have achieved multiple income streams, but I will miss the 2x earnings mark by a long shot. The 2x earnings target is a great example of a big aspirational goal (BAG) as opposed to an actual-plan-behind-it goal. I always include a few BAGs (another was "become a LinkedIn influencer"...Bahaha!) because they encourage me to keep my vision at the forefront even if I don't know how to achieve it yet. This year I'll miss it. Next year, I'll add more structure and baby steps into my plan to increase the likelihood I'll hit it. It's okay to miss your goals. I'd rather you go after something worthwhile and miss it than achieve an attainable goal that doesn't materially improve your life. At the beginning of the year I somehow believed I'd magically receive writing opportunities. I have taken zero steps to go after that work, however, so let this serve as a reminder that wishing does not make it so. While mindset and intention will give you clarity and focus, you must also take steps. I'm also mulling over the idea of an Etsy shop side hustle although it's more realistically a 2019 or even a 2020 goal. I'm on the lookout for fabulous graphic designers/illustrators, so drop me a line if you know of anyone. P.S. What is your first thought when you read my money goals (or think about your own)? What feelings came up for you? How about judgments? There is much work to do to break down the taboos around discussing our money fears and goals. Women especially should be talking *more* about money: women hold the majority of student debt, and millennials are behind other cohorts in almost every economic dimension. Your limiting beliefs about money sabotage your career aspirations. The first step in unpacking your beliefs about money is to acknowledge their existence. Then, we'll go from there. 2. Grow this amazing community of women through content that engages, teaches, and motivates. Write better more often. Launch a podcast to share personal stories. Harness our community's power in unique ways. Why: There are so many amazing people figuring it out every day. Too often in our polished social media driven world, we see success stories after the fact. We see the amazing things they've built—not the self-doubt, failures, and recalibrations needed to get there. I want to share stories of works in progress—not just finished products. Imagine the collective power in sharing the realness of our daily ups and downs. Consider how the challenge you’re working through right now could actually motivate someone else to take a leap. Think about how their struggle could help you. Don't wait until you've "arrived" to tell your story. It's already amazing. Think about the hurdles, the twists, the turns. Now go tell it. Update June 2, 2018: My goal for the second half of 2018 is to post shorter-form content each week on LinkedIn and Twitter in addition to the bi-weekly blog posts, so join the conversation there if you're interested. 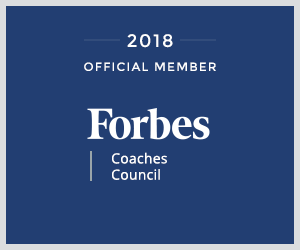 I've also joined Forbes Coaches' Council, which I hope will be a worthwhile partnership. A key requirement for publishing on Forbes.com is that you have to create content just for them. One technique I've used for meeting my goals is to back myself into a commitment that I can't get out of. Yikes! Guess it's one way to write more often. 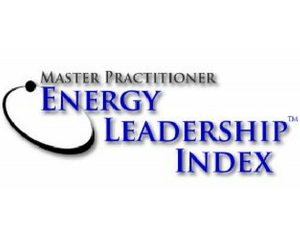 The more feedback and input I receive from you, the better content and resources I can provide. I've written several posts in direct response to users' inquiries, so please tell me what you want help with. I also hope to see more readers post their responses publicly and interact with each other. There's real power in this community, and I want to bring you together. I asked someone close to me why he hadn't updated his LinkedIn profile to show that he's about to begin a degree program at Harvard. He said, "What would I say? 'Student?'" Um, yes, that's exactly what you'd say. A client is working on relaunching her design web site. Even though she has years of work already, she was holding herself back from reaching out to potential new employers until she'd finished her latest projects. Why? Talk to people about what you're doing now and what you want to be doing in the future. Even if it's a work in progress. Don't wait. People aren't hiring your degree or your finished product. They're hiring the person behind those accomplishments. They want the qualities you have right now today. It's not about the end result. It's about the skills, abilities, and determination you use to get that end result. So showcase that now. 3. Nurture and expand personal and professional network. Find teachers, role models, and partners. Build a team. Be more present with family. Why: As a solopreneur and extreme introvert, I usually realize too late that I’ve completely shut myself off from other humans. Now that I’ve untethered myself geographically, it’s going to be more important than ever to nurture my current friendships and make new ones wherever I happen to be. Business-wise, there are key alliances I’d like to build, some aligned with coaching and some that might pave the way into other areas. Many high-achievers, often because they’re so capable, think they need to go it alone. Whatever level you are, whatever industry you’re in, you need sponsors, champions, and teachers. Are the people in your current organization, network, and team truly positioned to help you get where you want to go? Think about your current network. Now think about your career dream team. I'm not joking. I mean a real Career Olympics-worthy group. Who do you need to draft, trade, or bench? Related: If you haven't read my free guide already, find out how how a well-designed success team acts like compound interest for your career. Update June 2, 2018: I'm struggling a bit to find my tribe of teachers, role models, and partners. It's so important to surround yourself with people who have already found a way into the career and life they love or who are actively working to do so. Of course, there are so many people at all stages to learn from, but I've been challenged to find *like-minded* coaches, entrepreneurs, and business people that match my values and life philosophy. I have found a handful of heart-centered, creative, value-focused entrepreneurs who really walk the talk, but they are light years ahead of where I am in business, so they're not as accessible. I'll continue to look for the sweet spot of successful owners that are ahead of me but not so far ahead that we can't work together. I'm enjoying the process of being patiently selective about who I surround myself with. 4. Balance travel, financial goals, and routine. Minimize more. Why: I explained in my 2017 assessment how I tend to postpone fun for work-related goals. Now that I’ve made it through the upheaval, I welcome the momentum that comes from stability and a high-performance routine. That said, I made a lot of these changes exactly so I could travel, which means a lot of variation. The key is discovering where travel, financial goals, and routine align rather than viewing them as in conflict. Are your goals working in concert, or do you feel like they’re competing? Look for ways to creatively combine them and make them individually better. Update June 2, 2018: I've made big strides in the balance area, but am still subject to my same workaholic tendencies. It's a blessing to have laser-focus on the business, but if I don't watch it, it subsumes everything else. I've had to pull myself back from the precipice of working late nights and weekends a few times, and I succumbed just as often as I extracted myself. It's an interesting phenomenon to work a lot because you love it as opposed to feeling you have to. Still working that one out. I can justify working long hours writing or creating or solving an interesting problem by labeling it "flow" or calling it a passion project, but I'm not sure working insane hours to the detriment of anything is a habit I want to continue to feed. (Case in point: updating my goals while on holiday). The 10 simple actions to the right help me prioritize what's most important. They're a welcome counterpoint to my insanely detailed goals I monitor as part of my Masterful Abundant Life Plan. It's simple: doing these 10 simple acts most days keeps me happy and fulfilled in my career and life regardless of whether I achieve any of my other stretch goals. One critical goal that doesn't show up on my "Ten Things" list is: giving back. I'm embarrassed to say that until last year, I'd done very little in this category. But I just didn't have the physical, emotional, and spiritual energy. Now I finally have mental space and emotional wholeness to give to others and make a real impact beyond how I make a living. I've become really active with a local food bank, and it's changed my life. I have several other causes I'm passionate about that feel really big and impossible to me. Can't wait to try. 5. Make strategic investments in my financial and business education. Why: I learned late in my career how important it is to consistently invest time and/or money in learning and self-development. I would be so heads down on crushing a particular role, I didn’t think strategically about what I wanted next—beyond more money and the next promotion. As a result, once I decided to make a change, it felt like so much work to turn the ship. Now my approach is much more balanced: partly based on where I want to be in 5 years, and partly what is interesting to me to explore no strings attached. You never know where an extra skill might come in handy, and any investment in yourself is wise. When I ask about their vision, women of all ages tell me they're focused on doing a good job in their current role. This is great EXCEPT when you're not also keeping one eye out for what you want next. Suddenly a boss leaves, a department is reorganized, and you're scrambling to figure out how to adapt. Think about where you want to be in 1 year and 5 years from now, then work to educate and grow yourself for both. Update June 2, 2018: Part of my minimalist philosophy is to spend as little money as possible and choose investments with intention, and I'm happy about the investments I've made this year in terms of time for education and expenditures to grow the business. Finally, one amazing by-product of being in my dream career is that I finally have the energy and brain power to proactively plan for what I want not only in 2018 but through 2023. As I think about 2019 and beyond, in addition to writing and coaching, I'd love to explore how I might get involved in mediation, education, prison reform, and working with athletes in transition. 6. I expand my spiritual practice to bring increased peace, lessen anxiety, and connect more deeply with my full potential. Why: I have always been a worrier. Since I always found a way to grind through it, I didn’t realize how much it held me back in my career and life until I burned out. After I took my sabbatical in 2013, I put a daily routine in place and devised several tools to reprogram my brain for success without the stress. The routine and tools changed my life, but last year’s apartment debacle shook me in a way that I hadn’t experienced in a long time, if ever. I am thankful for that lesson, and know that I have more work to do this year to prepare myself for the next challenge. Please tell me you have at least one goal aimed at making the journey easier for yourself (and, dare I say, fun). Where's the joy in crossing the finish line if you collapse from exhaustion? You cannot connect with your full potential if you're running on empty. Update June 2, 2018: 2017 was a roller coaster year, so I was hopeful yet nervous for 2018. While I continually struggle with my workaholic tendencies, the benefits of the success habits I started practicing years ago are paying off. I'm currently in a period where I'm not regularly meditating (I tend to not be as regimented about it when things are going well. Working on it!) That said, I'm happy with my physical exercise regimen which has always been the best medicine for my mental health. One of the ways I remind myself of this is to go to check in with myself before bed and ask whether I'm physically tired or emotionally tired. The former means I've spent my time well, the latter means I need to rebalance. I also marvel at how restorative being outside is for me. Coming from someone who once thought walking through Central Park was "too much nature," this is a welcome and surprising change. One totally unanticipated surprise is how much I'm loving engaging with new people. As you know, I'm a super-Introvert and a Relator, so interacting with new people, however interesting they may be, was always very low on the list of things I enjoyed. Because of the shifts I've explained above and the increasing comfort I've found in being uncomfortable, I now find it really energizing to reach out to new people that seem interesting. I still have to manage my energy around it, as well as gauge the other person's energy, but it's expanded my world exponentially. So . . . those are my goals. I might not meet them all, and that's okay. I might achieve some I haven't anticipated . . . brilliant! Whatever your career goals, I hope this post encourages you to push them further. If you've been thinking about making career and life changes, this is your year! Whether your aspirations are big, small, or somewhere in between, take that first step. I read every comment. Leave your biggest, baddest career goal below and one step you're taking to make it a reality.